18mm, 20mm & 24mm diameter thickness white polypropylene cricket boundary rope supplied in 220m coils with heat sealed ends each end. 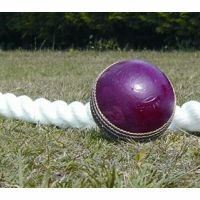 Used for all local and national cricket grounds. You will need 2 full coils for a full boundary cricket pitch. Rope is rot proof and UV stabilised.